Do you have weeks where you are doing so much sewing that there is no time to blog about it? That’s what happened to me last week, and I blame Lizzy House. Seriously. She is a terrible influence. 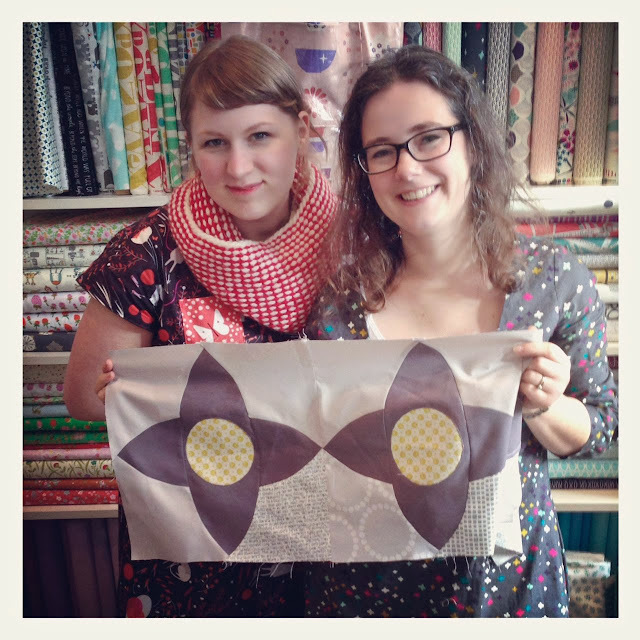 For my birthday, I treated myself to her Meadow quilt workshop at the Village Haberdashery. When the builders are finished (HAHAHAHAHAAAAA!) we will be moving into a new bedroom with a totally new colour scheme, and our old quilt won’t look right (and I wanted an excuse to make a new one). The Meadow as designed has 20 blocks and finishes at 72 x 84″, clearly not big enough for our massive-enough-to-hold-a-giant-American king-size bed. 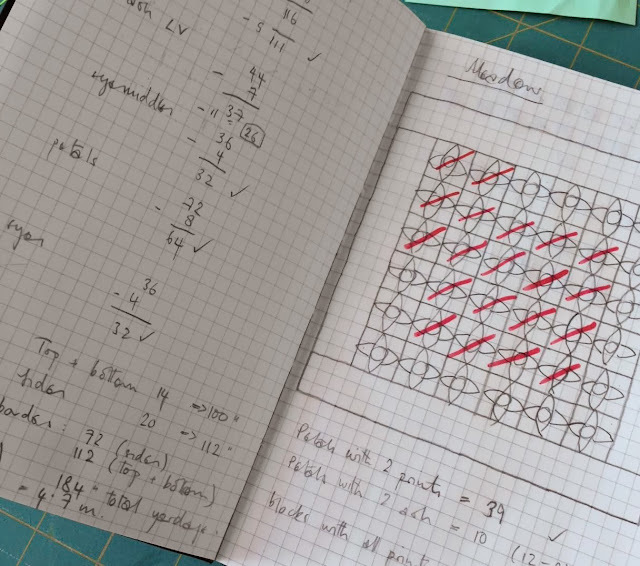 There was nothing for it but to increase the number of blocks to 36 and add slightly bigger borders so that it will end up at 100 x 112″. I’m not looking forward to basting the bugger, I can tell you. I’m going for a grey and yellow combination to go with the grey paint we chose (I say “we” but I’m not being entirely honest. It was more like “I think we should use this one”). I do love me some grey and yellow. It has also given me the chance to dig into my sizeable low volume hoard. 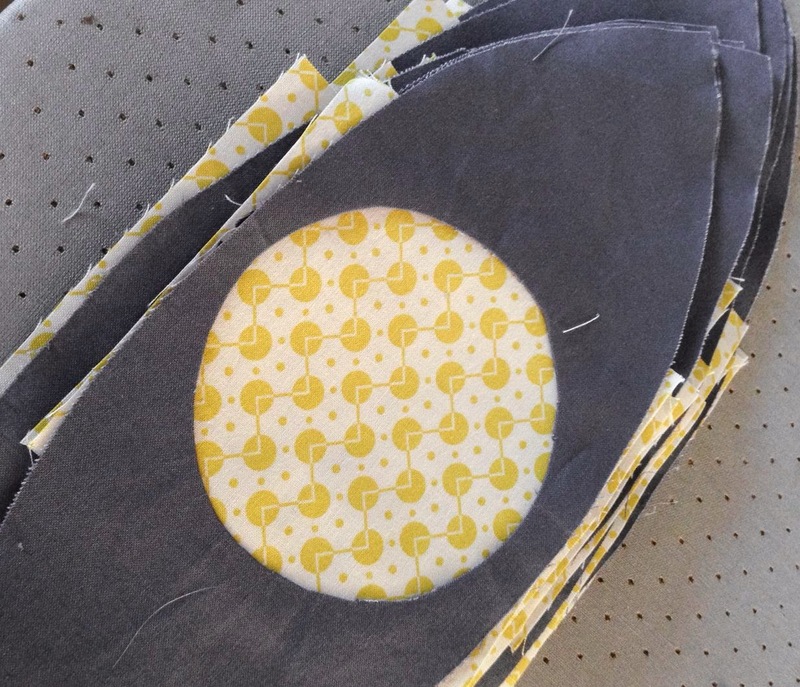 The solids are Kona Ash and Charcoal, and the backing is (going to be) Wasabi which matches the yellow in the Chicopee print perfectly. that’s Chicopee in the middle. I’ve been hoarding that too. 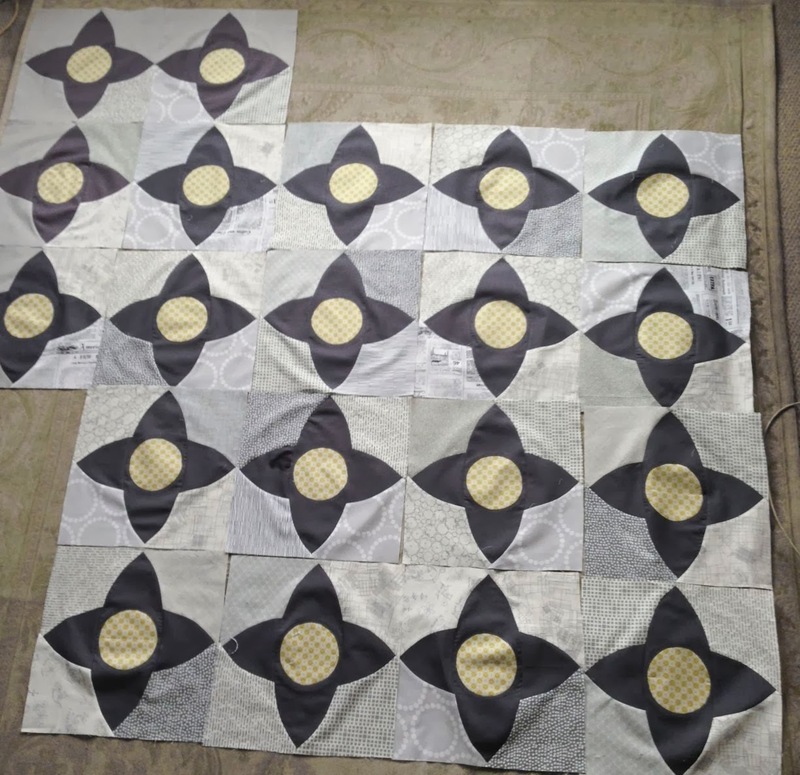 I’ve spent the last week cutting and sewing and pressing (and unpicking a little, I’ll be honest – there are curves involved you know) and have made 20 complete blocks. The other 16 are still in bits, but I’m working on it. Just as soon as I get over the rotary-cutter induced RSI. And why is it Lizzy’s fault? Well, she said that of all the Meadow workshops she had taught there were no finished quilts yet. You can’t say things like that to me – it’s like a red rag to a bull. Challenge accepted!